WSU faculty, researchers and staff can find internationally focused funding opportunities through the links provided below or by contacting the Office of International Programs research representatives. Grants.gov provides a centralized location for grant seekers to find and apply for federal funding opportunities. USAID lead U.S. government agency working to end extreme global poverty and enable resilient, democratic societies to realize their potential. To achieve that goal, it actively seeks to work with researchers, scientists and innovators. The USDA’s National Institute of Food and Agriculture (NIFA) provides leadership and funding for programs that advance agriculture-related sciences. It invests in and supports initiatives that ensure the long-term viability of agriculture. It collaborates with leading scientists, policymakers, experts and educators in organizations throughout the world to find innovative solutions to the most pressing local and global problems. NSF’s Office of International Science and Engineering (OISE) supports programs to expand and enhance leading-edge international research and education opportunities for US scientists and engineers, especially at the early career stage. NIH is the largest public funder of biomedical research in the world, investing more than $32 billion a year to enhance life, and reduce illness and disability. NIH funded research has led to breakthroughs and new treatments, helping people live longer, healthier lives, and building the research foundation that drives discovery. Fogarty International Center is part of the National Institute of Health and offers funding opportunities to advance global health research conducted by U.S. and international investigators. Fogarty also offers resources for those seeking global health research funding across NIH, and from other organizations. The Centers for Disease Control and Prevention’s (CDC) Office of Financial Resources (OFR) aids in achieving CDC’s mission by quickly and effectively allocating funds to where they are needed. 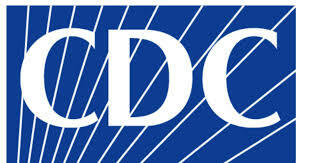 CDC funds research and non-research projects via grants and cooperative agreements (awards). The Deutsche Gesellschaft für Internationale Zusammenarbeit (GIZ) GmbH or GIZ in short (English: German Corporation for International Cooperation GmbH) is a German development agency dedicated to building a future worth living around the world that provides international cooperation services for sustainable development and international education work. The German Academic Exchange Service Deutscher Akademischer Austausch Dienst (DAAD) offers various types of funding for faculty, administrators, students and staff of higher education institutions. DAAD’s primary goal is to facilitate transatlantic mobility to Germany for U.S. and Canadian scholars. Funding is awarded on a competitive basis, considering the academic merit of the individual, the feasibility and quality of the proposal, and the impact of the applicant and application as a whole. The Department for International Development (DFID) is the United Kingdom’s government department responsible for administering overseas aid with the goal of promising sustainable development and eliminating world poverty. The Swedish International Development Cooperation Agency (Sida), is a government agency working on behalf of the Swedish parliament and government, with the mission to reduce poverty in the world. Sida supports a number of grants and stipends for students and teachers at universities, colleges and vocational schools. The Japan International Cooperation Agency (JICA) advances its activities around the pillars of a field-oriented approach, human security, and enhanced effectiveness, efficiency, and speed. The Korea International Cooperation Agency (KOICA) is a government agency implementing grant aid and technical cooperation programs focused on promoting sustainable development, strengthening partnerships with developing partners, and enhancing the local ownership of beneficiaries.